The best way to get ahead of the competition in the real estate investing industry is to focus on a specific investing niche. To choose your investing niche, you must first define your goals. The three most common real estate investing exit strategies are wholesaling, rehabbing, and buying and holding. Acquiring a real estate license, while not necessary as an investor, will help expand an investor’s network. If you’re new to the industry, you’ve probably wondered about the best real estate investments and strategies for new investors. You know you want to make money, you know you want to leave your nine-to-five job, but you haven’t a clue where to start. While there are obvious common investments like wholesaling and rehabbing, there are other unique strategies that help investors hone their skills before diving head first into the business. Keep reading to learn how you can grow your investment business successfully, but with minimal risk. While it’s possible to wear many hats as a real estate investor, finding a specific niche is equally important. Because the market is saturated with so many investors, creating and pursuing a specialty is what will set you apart from the competition. With such a wide variety of investment options to choose from, focusing on a single property type or exit strategy can seem impossible. However, once you perfect a particular strategy, branching out and growing your business becomes far more feasible. We’ll get into the specifics of these strategies shortly. But for now, let’s talk more about how one is supposed to choose his or her niche. There are five questions that every investor should ask in order to help identify their niches. Firstly, you must define your purpose and your goals. When you can pinpoint your “why,” growing a business becomes easier. Legacy, money, financial freedom, or the ability to escape from the shackles of a nine-to-five job are a few common examples of an entrepreneur’s “why” (otherwise known as their reason for wanting to invest in real estate). Next, you must look inward and discern what you’re actually good at. Does your skill set include excellent customer service, great deal negotiation techniques, or an eye for design? Whatever the case may be, recognizing the difference between what you’re good at versus what you wish you were good at is critical when starting out. Once you establish your skill set, you can then ask yourself what you actually enjoy doing. If you’re a people person who enjoys networking and schmoozing, you’d likely excel at negotiating with private money lenders. If, on the other hand, you’re a number person who’s more introverted, deal analysis and creating scopes of work may be a more suitable role. There are so many avenues one can explore in the investing world, which is why it’s important to choose a path you’ll truly relish. Similarly to identifying your skill set, you must next identify where you can add value. Do you go above and beyond for your clients in one way or another? Do you have a marketing trick that brings in endless high-quality leads? If so, be sure to market that competitive advantages wherever you go. The last question investors must ask themselves before securing their niche is whether or not there is a need that must filled within the sphere. Mind your due diligence to ensure your potential niche is a viable option as well as see how the competition stacks up. Now that you’re ready to pick a niche, let’s briefly define the three most common exit strategies. Wholesaling real estate is the perfect exit strategy for beginners, or those who are starting out with very little capital. Real estate wholesaling is the process through which an individual, the wholesaler, will acquire a contract from the seller of the property and then assign that same contract to an end buyer. Wholesaling is considered one of the best short-term investment strategies, and is a great way for individuals to break into the real estate investing industry. A wholesaler is able to make a profit by identifying properties being sold under market value, and then sell the contract to another buyer. Upon doing so, the wholesaler charges a fee that is typically a percentage of the cost of the property. Rehabbing, or fixing and flipping, is typically for intermediate to advanced investors. While it’s entirely possible to rehab a property as a newbie, the process can be longer and more complicated. Rehabbing consists of finding a property (ideally a distressed property or one that is priced under market value) then upgrading the property and selling it for more than you purchased it; thus profiting. Upgrades can be anything from cosmetic fixes and appliance changes to complete foundation repair. Rehab investors typically create a scope of work and figure out a property’s ARV (after repair value) to ultimately determine whether or not the job is worth it. While this strategy can be lucrative, it does take capital to get started. Buying rental properties is arguably one of the best long term investment strategies out there. Once enough profits have been made from wholesale and rehab deals, many investors choose to go the buy and hold route. Living off the cash flow from one or more rental properties, commonly referred to as passive income, is perfect for those looking to retire with financial freedom. 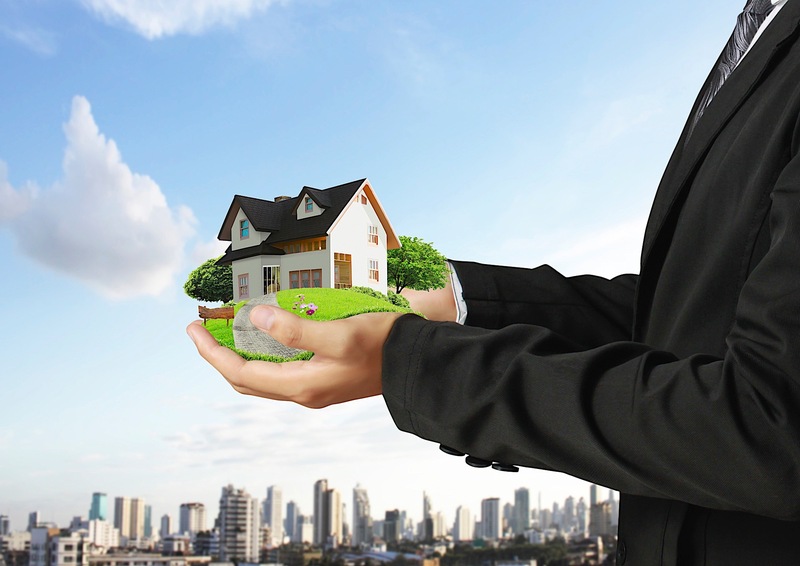 Investors can choose to manage their properties on their own or hire a property management company. Keep in mind that each option has its own set of pros and cons. Now that you’re a bit more familiar with the most common real estate investing strategies, let’s dive into several less conventional strategies ideal for beginner investors. While there is no wrong way to get started in the business, there are usually several important factors beginners lack: confidence, experiences, a big network, excess capital, specific market jargon, and deal analysis skills. If you possess any of these components, great — you’re ahead of the game. If not, don’t worry, there are other options to from which you can choose. The idea of a live-in rehab is to save money on rent by simultaneously living in and working on the same property. The first step is to find a property that needs work and is therefore priced below market value. If you want to be extremely frugal, consider completing all necessary repairs on your own. Otherwise, hire a construction crew and budget yourself with cheaper materials. Either way, once you’ve lived in the property for a minimum of two years, you can make $250,000 as an individual or $500,000 as a couple completely tax free with a 1031 exchange. Not a bad deal, right? Not only will you improve your rehabbing skills, you’ll have a place to live and profit. While having a real estate license as an investor is not at all necessary, doing so certainly comes with a unique set of benefits. For one, your knowledge of the real estate market as a whole will increase exponentially (and continuing to educate yourself is always a positive). Secondly, investors with a real estate license have access to the MLS, which means access to deals that unlicensed professionals don’t have the opportunity to snag. Extra income is another benefit of having a real estate licensed as an investor. Instead of having to pay realtor fees of three percent or higher, you’ll be making that! Not to mention the fact that you can act as a real estate agent on the side when business is slow. In addition to making money on the deals, you will also save commissions on your own personal deals. If you close just six investment deals a year and act as the Realtor, you are saving, and therefore making, over $10,000. Finally, acquiring your real estate license will help to expand your network and grow your buyers list. Attend local networking events to meet like-minded people in your market. You never know who will be in need of an investor friendly realtor! One way to dive into the rental property business with little risk is to purchase a small multi-unit building to live in while renting out the spare bedrooms or extra units. Then, the rent from your tenants can go towards paying your mortgage, taxes, insurance, etc. This strategy not only allows you to get paid for simply living in your home, you can also work on improving your landlord skills. Skip hiring a property management company to save money and learn how to unclog a toilet or fix a leaky faucet on your own! It may not sound glamorous, but it’s a great experience for beginners. You’ll acquire basic landlord skills, like tenant screening and maintenance, while growing your investment business at the same time. Regardless of which niche you choose to pursue, finding deals will be a key component of the role. So why not focus on your marketing and lead generation skills in the meantime while waiting to launch your business. Learn what it means to create bandit signs or drive for dollars. Become proficient in negotiating with strangers and identifying distressed properties. It’s also smart to consider working for a mentor. Perhaps you are acquaintances with a wholesaler in your local neighborhood. Ask him or her if you can help hunt for deals and watch your knowledge base grow! While the best real estate investments and strategies will vary from investor to investor, one thing holds constant: those who choose to constantly educate themselves will be far more likely to succeed in the industry. So identify your specialty, set a timeline, and start pursuing your goals! Which investing niche will you choose? Share your answers in the comments below.